The Santa Maria Valley Chamber of Commerce was one of just 28 local chambers recognized this month by the California Chamber of Commerce as recipients of the 2018 President’s Circle Award. This represents the third consecutive year that SMVCC has received this recognition. The award, first presented in 2009, recognizes chambers for excellence in business advocacy and helping their members comply with California employment laws. 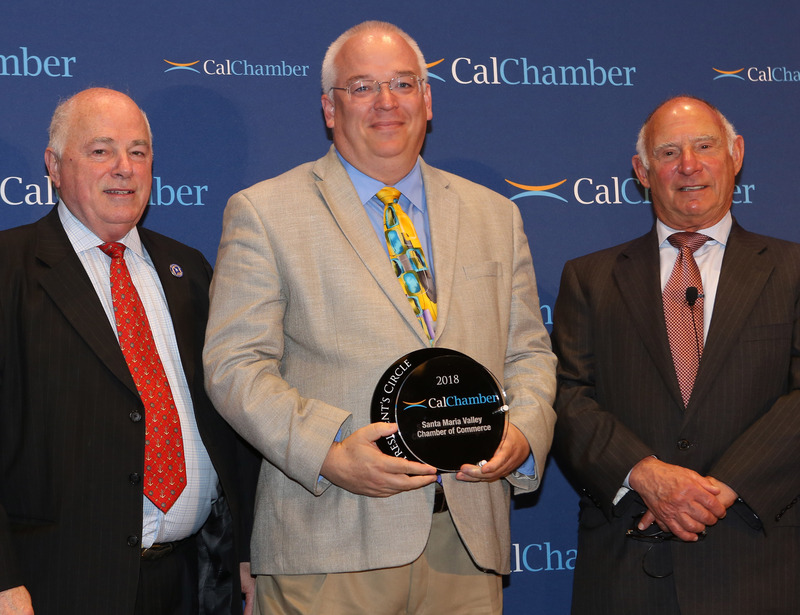 Representatives of the President’s Circle chambers were honored May 23, 2018 during the CalChamber Capitol Summit in Sacramento.